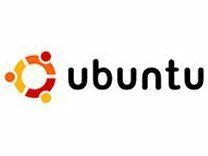 Mark Shuttleworth, the founder of Ubuntu, the community developed, Linux-based operating system, wants to create a desktop to rival Apple. According to the Register, Shuttleworth, whose company Canonical is the commercial sponsor of Ubuntu, pledged to put more effort into bringing the OS to something that moves away from the hardware. Funding might be a problem, as a number of similar systems rely on advertising banners and similar to fund the projects, which can be distracting and annoying for users. "There is an emerging emphasis on services - that is the engine to invest in free software applications," he said. "We [Canonical] are hiring guys to work on the desktop... the rationale is online services. This must be a shared platform." Shuttleworth acknowledged there might be issues further down the line for the system and open source in general, thanks to the disparity between different projects and systems. He posited: "Imagine if we could talk in particular about the summer 2009 release, and there'd be differences in the platform. To be able to have this pulse across the entire free software ecosystem - how would that elevate the awareness we could generate in the rest of the world?"